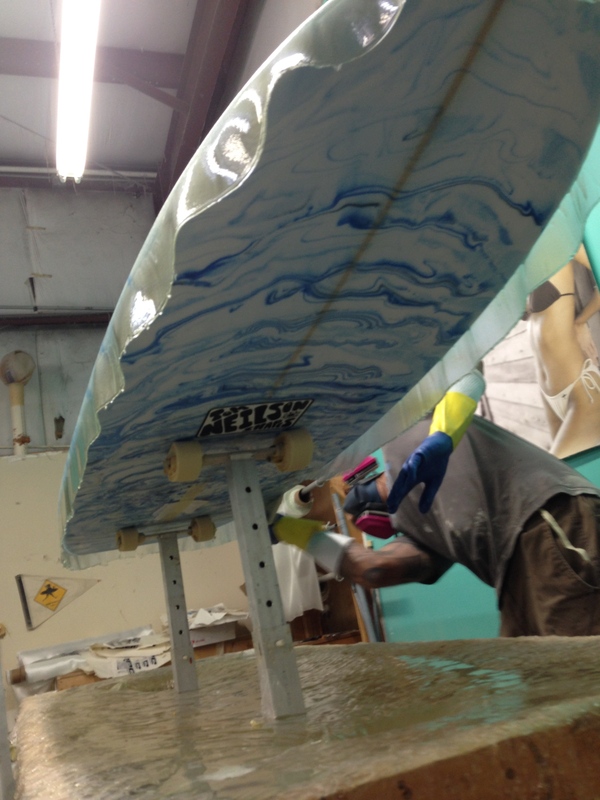 here is Matt our glasser glassing the deck after completing a sick acid splash bottom. The top glass gets lapped onto the bottom of the board. The wider the lap the stronger the board is in resisting breakage. (wide lap) – Too much and it adds extra weight that is not desired. Matt makes the very difficult look easy! Super grateful to the expert craftsman who work so hard in heat and sweat to create these magic boards.